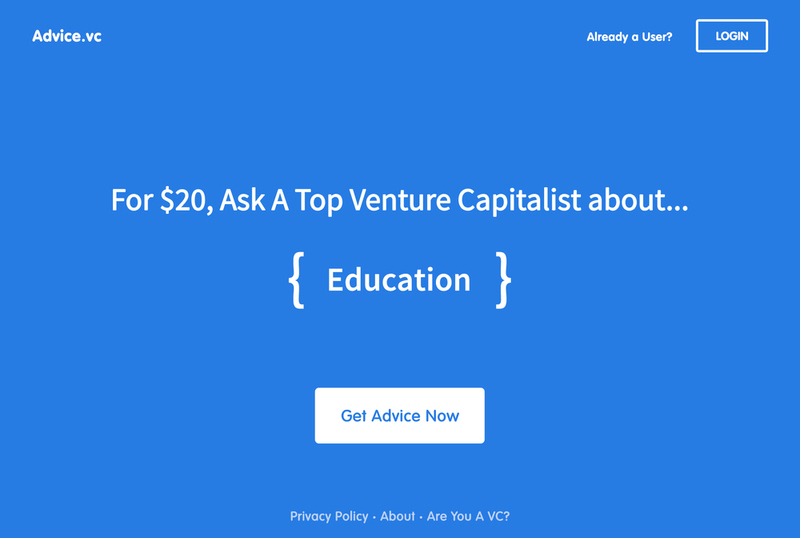 Ask top VC's for advice about anything. Featured on Product Hunt. Advice.vc is a website that allows anyone to simply ask a question to a venture capitalist, with their money going to charity. Advice.vc is a top ranked and featured product on Product Hunt. Advice.vc was created quickly in an effort to test the idea before going to market. The process online was a seamless and intuitive way for someone to ask a question, with all the information on a single page.